Perhaps the mysteries of Sedona are what you're looking for. How do the blue waters of Lake Powell sound? We offer amazing Rental packages for your family adventure. Our extensive Service Center includes a complete Service Department, Diesel and Gas Chassis Department, Collision and Fabrication Department, and a Detail Department. We can help you understanding your vehicle’s tow rating capacity, this is critical to choosing the right RV for you and your family. We offer a wide variety of new and used RVs for sale. 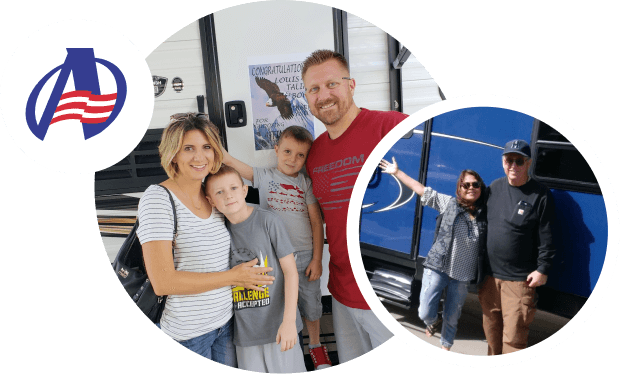 No matter what kind of RV you might be in the market for, Affinity RV can provide you with an awesome selection with plenty of features to suit your every need. If you have any questions, you can always contact us today for all of the details.